Hello! 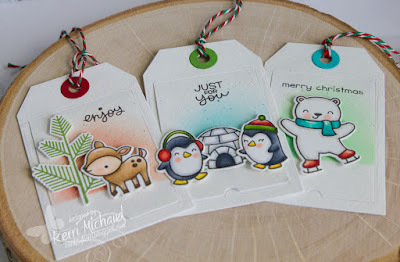 I have some fun tags to share with you today! I just love the current trend of sponging Distress Oxide Ink behind the image and also flicking drops of more saturated color. Such a cool look so I decided to give it a try! 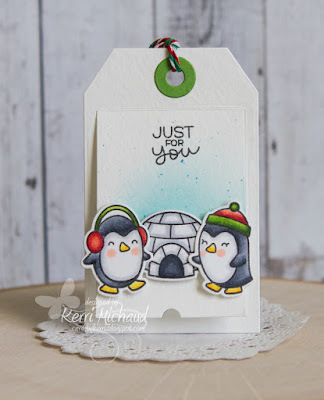 For my first tag I used the adorable penguins from Snow Cool along with the Snow Cool Lawn Cuts. I colored my images with Copic Markers and cut them out. 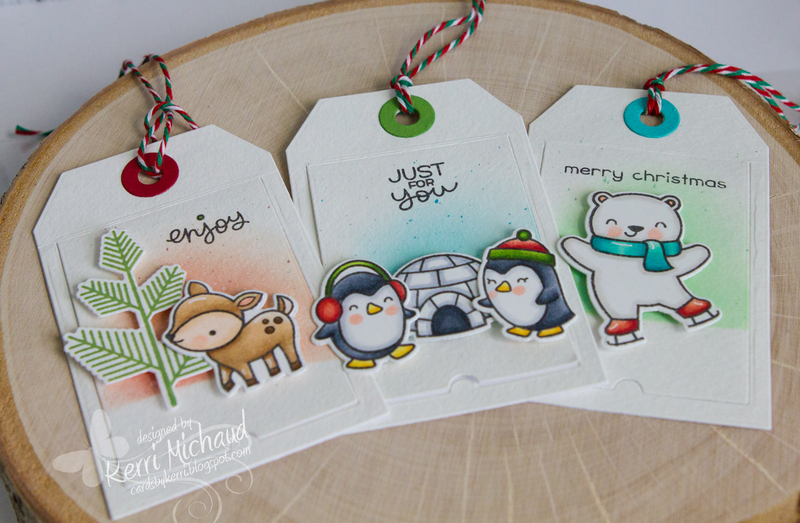 For the tag I used the Taylored Expressions Tag Stacklets 2 along with the Rectangle Flap Stacks. I cut the tag out of Watercolor paper and then sponged with some Broken China Distress Oxide Ink. I then added some of the color to a piece of acetate, spritzed with water, and used a paintbrush to flick the color onto the sponged portion. So cute!!! 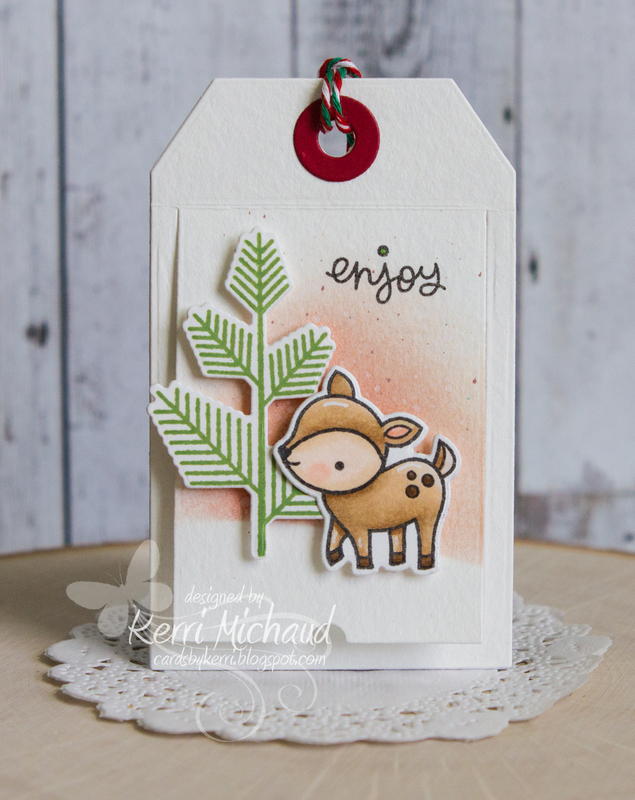 The sentiment is from Lawn Fawn Tiny Tag Sayings. For my next tag I used one of the super sweet deer images from the Cheery Christmas Stamp Set and Cheery Christmas Lawn Cuts along with some Fired Brick Distress Oxide Ink. The sentiment is from Tiny Tag Sayings once again. 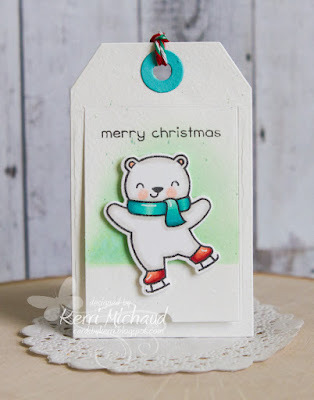 Finally, I used a darling bear from Beary Happy Holidays along with Cracked Pistachio Distress Oxide Ink and a sentiment from the Winter Otter Stamp Set.